2019, February 25th - Check out the video announcement from Netflix. The Irishman is coming this fall! 2017, July 12th - According to Deadline, Pesci has officially joined Robert De Niro in Scorsese's The Irishman. Al Pacino and Harvey Keitel are pretty close to join the production. The film begins shooting next month in and around New York and will continue through december. Pesci will portray mafia boss Russell Bufalino, who may have had a hand in the disappearance of Jimmy Hoffa (to be played by Pacino). De Niro will portray mob hitman Frank 'The Irishman' Sheeran. Check out one more time the names involved: Pesci, Scorsese, De Niro, Pacino and Keitel. Impressive! 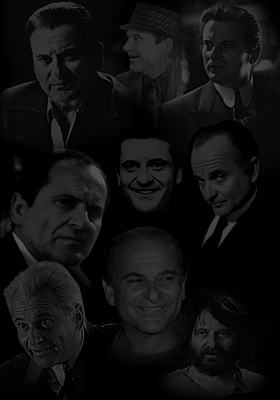 2011, August 24th - Well, according to Fiore Films, Pesci's role in Gotti: In the Shadow of My Father is undetermined following his lawsuit, which producers Fiore Films have said has "no merit". 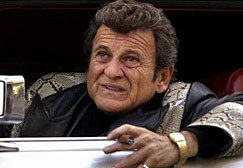 Pesci claimed his part had been changed and his pay cut. Let's wait and see what happens. 2011, July 26th - It's official: Fiore Films has announced that Pesci's next, Gotti: In the Shadow of My Father, will begin principal photography on-location in New York on January 3. Directed by Barry Levinson ("Jimmy Hollywood"), the cast includes John Travolta, Al Pacino, Pesci and Kelly Preston. 2010, July 2nd - Check out a clip from Love Ranch. 2010, May 21st - Finally! The first official Love Ranch trailer. Check it out in quicktime standard and HD. Visit the Love Ranch facebook page: www.facebook.com/loveranch. 2010, May 20th - Check out the first official Love Ranch poster. In theaters June 30th, 2010. 2008, October 17th - Check out the official Love Ranch mini-site. 2008, June 27th - Great pics from the set of Love Ranch, thanks to Gil Birmingham website. 2007, October 15th - According to Variety, Taylor Hackford will direct Helen Mirren and Joe Pesci in Love Ranch, a drama about a couple who opened the first legal brothel in Nevada and the violence that resulted when their relationship was tested by infidelity. Filming begins in late January in Albuquerque, N.M. The drama is inspired by the story of Joe and Sally Conforte, proprietors of the Mustang Ranch, the first legalized house of prostitution in Nevada. Whatever you need, Leo gets, you get it?